ARUA – West Nile Region Police Commander Jonathan Musinguzi has been fired on the orders of President Museveni in the aftermath of the Arua Municipality election violence, PML Daily has learnt. Highly placed sources close to the President have revealed that the furious Museveni on Wednesday ordered that Musinguzi “pack his bags and leave” for failing to stop rowdy opposition supporters whom he said stoned a vehicle in his convoy. Attempts to speak to Musinguzi on Thursday morning were futile as calls to his known mobile phone number went unanswered. West Nile region police spokesperson Josephine Angucia refused to comment on the matter and instead referred us back to Musinguzi. 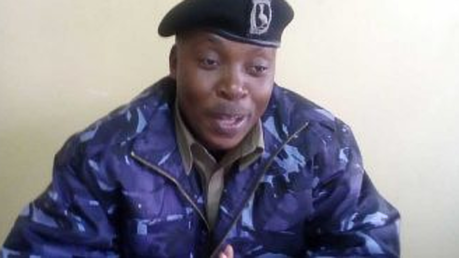 However, another senior officer who has been overseeing the by-election in Arua Municipality confirmed the Musinguzi’s sacking but refused to be directly quoted, saying he is not authorized to speak on behalf of the police in the region. It remains whether the sacking is related to the violence. On Wednesday, Mr Museveni, who was in Arua to drum up support for NRM candidate Nusura Tiperu in the by-election, blamed MP Robert Kyagulanyi a.k.a Bobi Wine and Mr Kasiano Wadri, the Independent candidate in the Arua Municipality by-election for the chaos in which a driver to the Kyaddondo East legislator was shot dead. The move comes two days after Arua District Police Commander Abbas Senyonjo was transferred in the aftermath of the August 13 violence. In a police message issued on Tuesday afternoon by Moses Balimwoyo, Mr Senyonjo was moved to Masaka where he will serve as DPC and the current police boss there, Mr Henry Kintu, moves to Arua in the same capacity.